Elected one of the Top 5 vocalists of the year in the 34th Annual Jazz Station Poll, when her "I Love" album also appeared among the best vocal jazz releases of 2012, Cristina Morrison will be doing a rare NY gig tonight, August 30th, at the East Village club Nublu, located @ 62 Avenue C (between 4/5th street.) 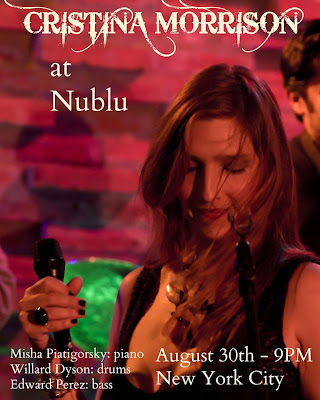 She will be backed by Misha Piatigorsky (the great pianist who recorded the "Never Let Me Go" CD with Mark Murphy), Edward Perez (bass) & Willard Dyson (drums). This is music inspired by the cross winds, crashing waves and birdsongs of Galapagos where Cristina resides part of the year in her waterfront home-and idyllic spot in Isabela Island, her previous home for 6 years before moving to America. The result is an exotically honest sound that strikes pure chords which then lackadaisically mellow out. Akin to the high and low energies of a stroll along a beach in Galapagos or to the dawn or dusk sounds of nature. Never has a jazz artist been able to draw inspiration from the raw nature of Galapagos and inject it with such ease and gusto into her ballads. Cristina Morrison was born in Miami, Florida. She's a multi- cultural woman not only because of her background that is a mix between Latin America and the United States but also from her "gypsy" life experiences. 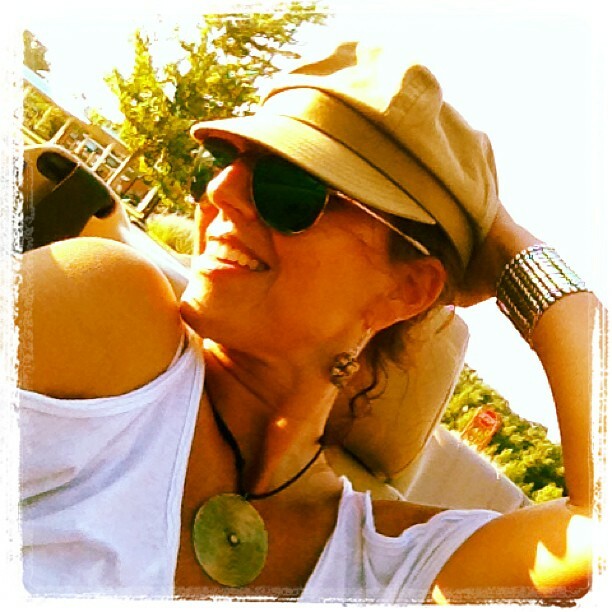 She has lived in Quito, Miami, Rome, Los Angeles, the Galapagos Islands and currently, New York City. 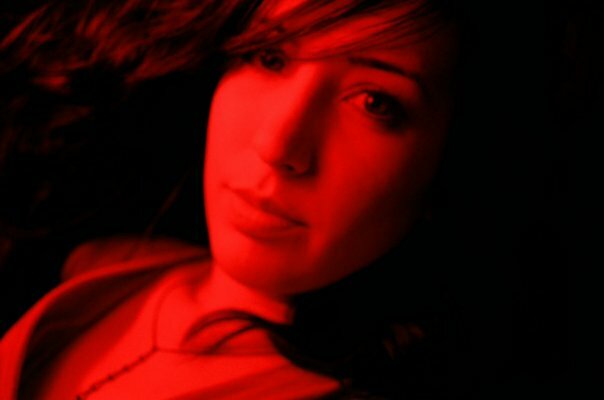 Cristina's first love was the piano and then she soon grew up to discover performing arts were her passion. Her acting debut onstage was at the age of sixteen and started singing in cover bands, as well. Cristina, for many years, lived between Miami and Quito and after finishing high school moved with her mother to Rome where she attended drama school at "La Scaletta". Here she learned fluent Italian and had her first encounter with playwrights like Tennessee Williams, Arthur Miller, Anton Chekhov and fell in love with the theatre. Meanwhile, she also started listening to jazz: to musicians like Chick Corea, Keith Jarrett and standard tunes, that her father listened to from the American Song Book. In the early 90's she auditioned and was accepted into the prestigious American Academy of Dramatic Arts, she moved to Los Angeles and graduated a few years later. Since then Morrison has worked mainly as a lead actress in many television films and series based on Ecuadorian literature, she has opened a performing arts theatre that ran until 2003, has played characters of written works by Beckett, Brecht, Fassbinder, Shepard and Bashevis Singer among others. She has also worked as an assistant director for TV and written articles on entertainment. Musically, Cristina was the lead vocalist of her jazz-blues band called "The Baroness and her Lovers". Her latest work in New York is the recording at Bennett Studios of her first original jazz solo album titled, "I Love". 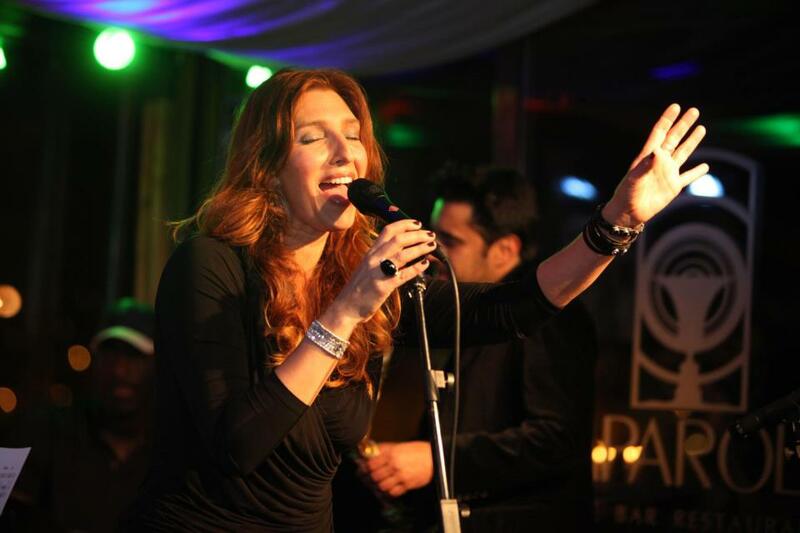 Here she showcases her talent as a singer-songwriter and is accompanied by some great jazz musicians. Currently, in repertoire, she's portraying five different women roles throughout three generations in the staging of "The Aging of the Plum" written by the Argentine Aristides Vargas. The play has been invited to various theatre festivals to countries like Mexico and Brazil among others to be announced. Cristina also holds under her sleeve a future film production project based on a journalistic chronicle which she bought the rights for. The press has defined Morrison as an analytical, charismatic, creative, and a free spirited woman and as a chameleonic and versatile actress who works her characters at depth being able to reach her audience. As a singer, she's equally impressive. Check it out! 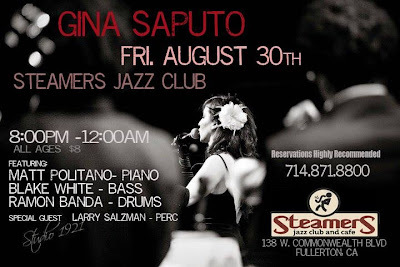 After a sucessful appearance today on "Good Day LA," Gina Saputo has a show tomorrow night, August 30th, at Steamers Jazz in Fullerton, CA. 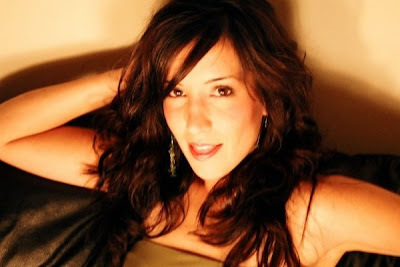 One of our favorite vocalists in the contemporary jazz scene, LA-based young diva Gina Saputo likes to sing in Portuguese, scatting and phrasing in a very creative way, sometimes sounds like the missing link between Carmen, Basia (check his own groovy "Explain," on which she also emulates Billie), Flora and Tierney. Tonight, she will be backed by Matt Politano (piano), Blake White (bass) & Ramon Banda (drums), with special guest Larry Salzman on percussion. Not to be missed. Saputo usually writes the setlist by hand about an hour before the show, but it will probably include such songs as "I’ve never been in love before," "Cheek to cheek," "Call me," "Until I met you," "Fool on the hill," "They can’t take that away from me," "Bye bye blackbird," "Chega de saudade," "My man’s blues," "Exactly like you" and "'Round midnight." She promises more surprises too. Her first CD, “Gina Saputo,” which featured pianist Gerald Clayton, was recorded with vocal sessions produced by Grammy award nominated vocalist Tierney Sutton, who said, “Gina has the talent as well as the passion to stretch and think outside the box.” After two successful tours of Japan, her CD has climbed to #3 on the prestigious Swing Journal charts, and has received rave reviews. She performed (at the Once In A Blue Moon club in Seoul) and taught (as a guest professor at Gwangju University) in South Korea, toured Japan a second time with Grammy nominated pianist Bill Cunliffe, performed in Oregon with pianist Benny Green, at Club Nokia at LA Live, and at the Skywards Dubai International Jazz Festival. 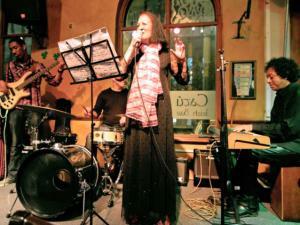 Gina sings regularly at Steamers Jazz Club (10 years! ), The Hip Kitty, Ambrosia and First & Hope Supper Club. 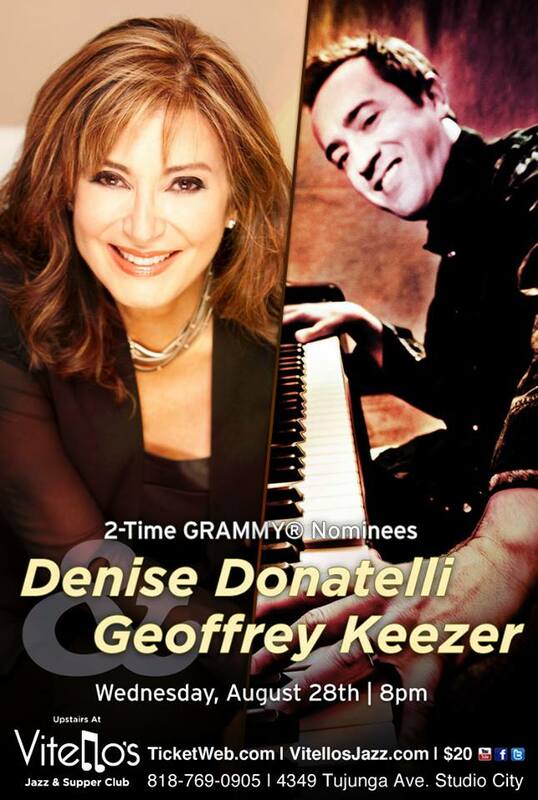 Donatelli & Keezer live in LA, tonight! Tonight! 8pm! "The Art of the Duo" live @ Vitello's Jazz and Supper Club (4349 Tujunga Ave.). A perfect match! Join us and, besides the great music, get some good Italian food and wine. R.I.P. : Luiz Claudio "Sandalia Dela"
Regarded as a "singers' singer", one of the most beautiful voices in the history of Brazilian music, Luiz Claudio de Castro passed away a few hours ago in the small city of Guaratinguetá (the land of São Frei Galvão, the first Brazilian Saint, in the State of São Paulo), where he lived for the past three years, after he decided to move from Rio de Janeiro and retire from the professinal career. He is survived by Heloisa Helena, his wife for more than 50 years. 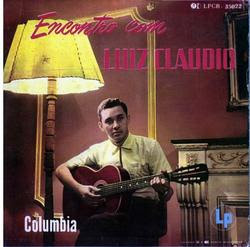 Luiz Claudio, also an acoustic guitarist and great composer ("Deixa A Nega Gingar" aka "Sandalia Dela" received many recordings by such artists as Elza Soares, Elizeth Cardoso, Ithamara Koorax and Duke Pearson with Flora Purim), recorded many albums for the Columbia, RCA, Musidisc and Odeon labels. 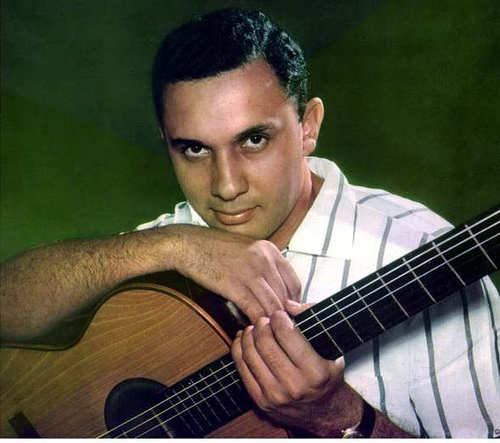 His legendary rendition of "Este Seu Olhar," done for Columbia in 1958, was arranged by Antonio Carlos Jobim and featured João Gilberto on the guitar. Moacir Santos, Paulo Moura, Wagner Tiso and J.T. Meirelles also appeared on his albums. 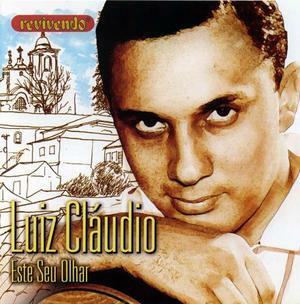 Although he devoted most of his life to romantic songs, applying his warm tone and velvet-like voice to Brazilian ballads, cantigas, toadas, modinhas and folk-oriented songs from his native Minas Gerais, Luiz Claudio's most popular composition all over the world is a simple & pretty sambalanço (or "samba-jazz" or "bossa-jazz", you name it) titled "Deixa A Nega Gingar," written in April 1962 and recorded in Brazil by Toni Vestane, Waltel Branco, Elizeth Cardoso, Elza Soares, Celso Murilo, Orlann Divo (aka Orlandivo), and Claudio himself for RCA (with an arrangement by trombonist Astor Silva). 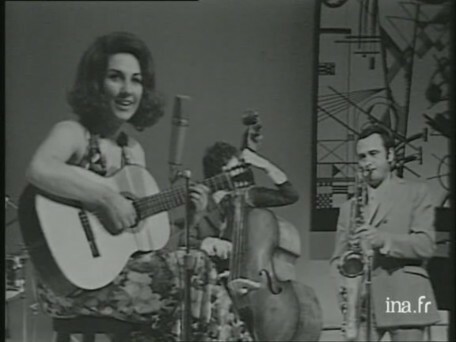 In recent years, the song was recorded by Ithamara Koorax, Clara Moreno and Clémentine. Curiously, this song became a cult hit in the jazz world after Flora Purim recorded "Deixa A Nega Gingar" in 1969 on Duke Pearson's "How Insensitive" LP for Blue Note. Actually, Flora was the one who suggested Pearson to include it on the album. 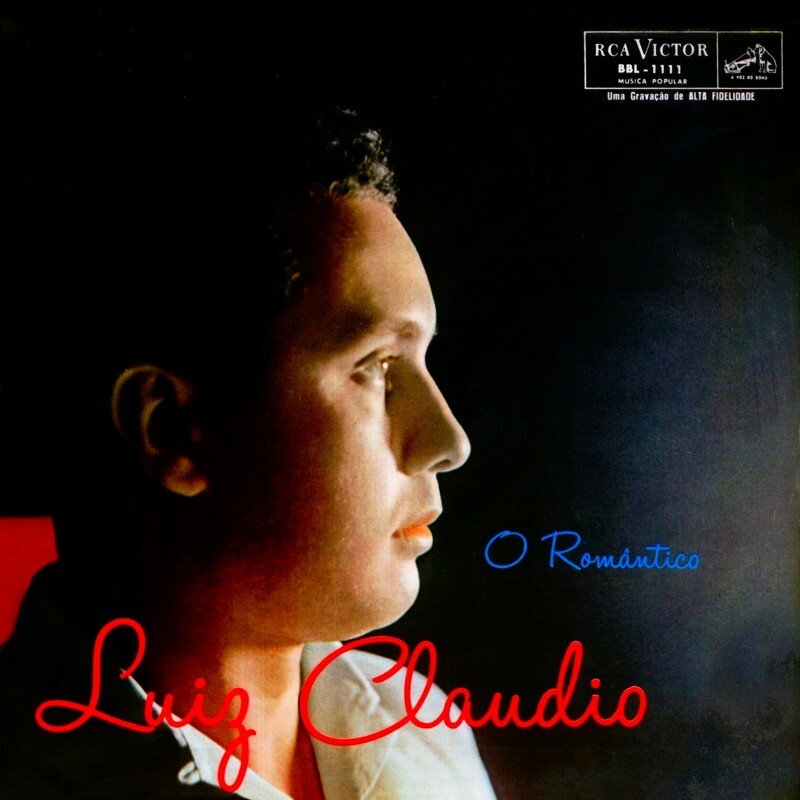 But she didn't remember Luiz Claudio's name neither the correct song title, and it was released under the title "Sandalia Dela" with no mention to the composer. The radio DJs fell in love with the song which started to receive instant airplay all over the USA. But nobody knew the author's name and many thought it was a Brazilian folk song of public domain. At that same year (1969), Flora sang "Sandalia Dela" (sorry, "Deixa A Nega Gingar") during an European tour with Stan Getz, and a Paris concert was eventually released as an unofficial album titled "Major Generale." Once again under a wrong title and with no credits to Luiz Claudio. Both albums were reissued on CD, but Claudio remained uncredited. 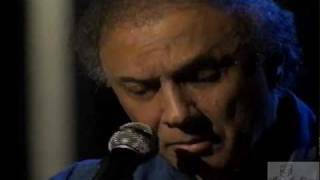 And there's also the fantastic video on youtube (link above) of Getz & Flora -- plus Stanley Cowell, Miroslav Vitous and Ben Riley -- performing "Sandalia Dela." 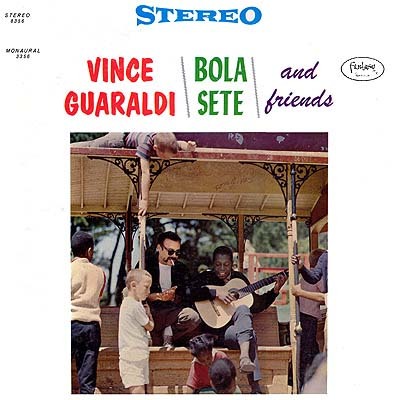 The oddest thing is that Luiz Claudio only became aware of all this craziness when we talked in March 2000, when I was supervising and writing the liner notes for a CD reissue of Bola/Guaraldi's album for Fantasy Records. "I never received one cent for any of these recordings in the USA," Claudio stated. 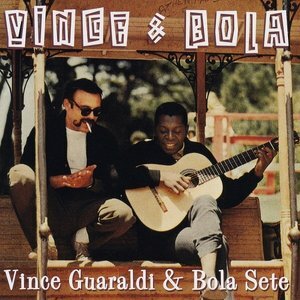 After the CD release, since I corrected the info about "Mambossa," Bola Sete's widow (who probably never had heard about Claudio) tried to sue Fantasy Records. But, fortunately, Luiz Claudio provided us with all the documents that proved that he was the real composer. In Brazil, Claudio built a beautiful career that started in 1949 as a member of the vocal group Trovadores do Luar, in Belo Horizonte. Moving to Rio de Janeiro, he did his first solo recording (a 78rpm) for the Sinter label in 1952. Three years later, he signed with Columbia and started to receive many awards, becoming a star on live radio shows. More awards followed in radio and magazine contests, and he jumped to RCA in 1960, and later recorded only one album for the small Musidisc label in 1966, "Luiz Claudio Entre Nós," with his old music teacher Moacir Santos as special guest (an item reissued on CD by the UK label What Music in 2004) on two of his compositions: "Coisa Nº 10" (later covered by Sivuca on "Live at the Village Gate" for Vanguard in 1975) and "Jequié" (recorded by Airto in 1972 during the "Free" sessions for CTI, and later included as bonus track on the 2003 CD reissue of that album). Other musicians on "Entre Nós" included Wagner Tiso, Paulo Moura and Durval Ferreira. But it was at the Odeon label (lately known as EMI-Odeon and now part of the Universal Music Group), that he recorded (from 1968 to 1979) the most beautiful albums (all out-of-print, of course...) of his entire career, perfecting a subtleness that can be heard on such precious items as "Intimidade," "Cantiga," "Reportagem" and "Viola de Bolso." 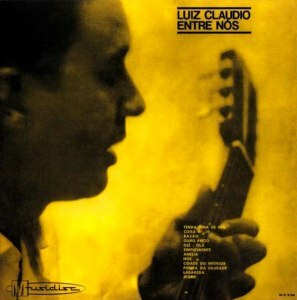 During the 70s, many tracks from those albums received heavy airplay at JB-AM, the best radio station in Brazil around that time, thanks to the sensitivity of such people as Luiz Carlos Saroldi and Simon Khoury, who were among the biggest fans of Claudio's artistry alongside Luiz Bonfá, Antonio Carlos Jobim, João Gilberto, Gaya and Stellinha Egg. During his Odeon years, he worked with such arrangers and musicians as Marcos de Castro, Ubirajara Cabral, Eduardo Souto Neto, Paulo Moura, Antonio Adolfo, Wagner Tiso & the Som Imaginário group, Lindolpho Gaya (aka Maestro Gaya), J.T. Meirelles, Chiquito Braga, Luizão Maia, Wilson das Neves, Alberto Arantes and many others. 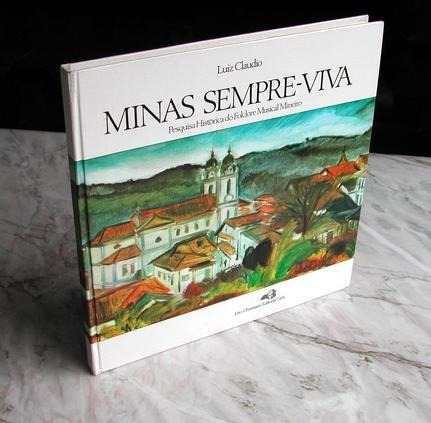 After his deal with Odeon ended, he still released a special LP/book project, "Minas Sempre-Viva" in 1983. Another highly recommended CD is the compilation "Este Seu Olhar," released by the Revivendo label in 2005. Producer Leon Barg managed to license 18 gems from the Columbia, RCA and Odeon vaults, starting with the title track composed & arranged by Antonio Carlos Jobim, with João Gilberto (uncredited!) on acoustic guitar. 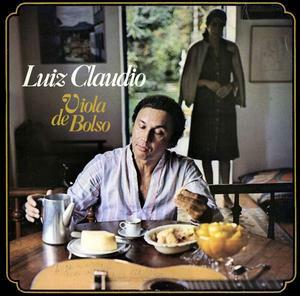 There are also two wondrous Luiz Claudio's songs after poems by Guimarães Rosa ("O Galo Cantou Na Serra") and his friend & admirer Carlos Drummond de Andrade ("Viola de Bolso"). Other highlights include Tito Madi's waltz "Quero-Te Assim" (recorded in 1957 for Columbia), João Chaves' "Amo-Te Muito" (that he learned from his friend Stellinha Egg), Bach's "Jesu, Joy of Man's Desiring" (with Portuguese lyrics by Vinicius de Moraes) and Caetano Veloso's "Onde Eu Nasci Passa Um Rio." I only regret that his sublime version of Luiz Bonfa/Antonio Carlos Jobim's "Correnteza" (Claudio was the first one to record it in 1973) wasn't included on that compilation. Rest in Peace. We'll continue savouring your music. "Fascination Tuesdays" are back this evening!" The best in house, disco and electronica. 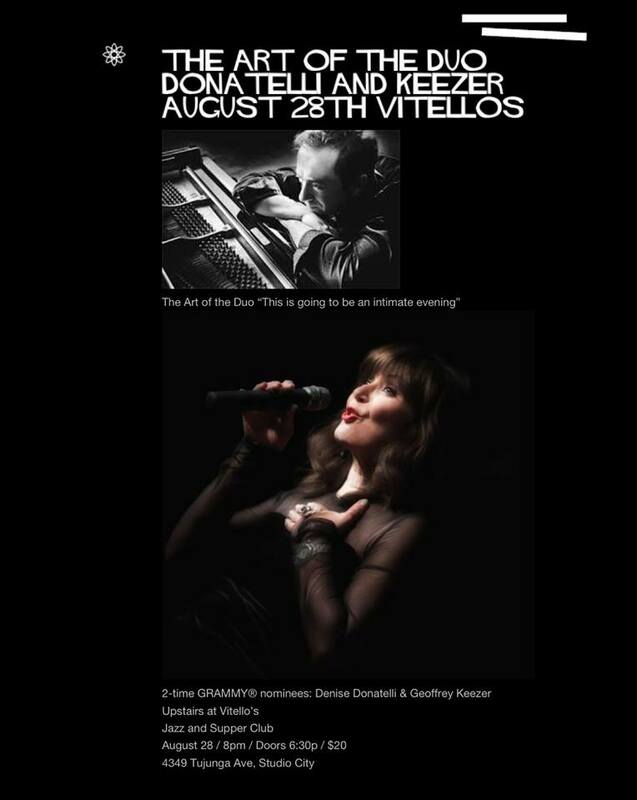 My dear friend DJ Yvonne Black will be playing tonight, August 27th @ Los Globos (3040 W Sunset Blvd.) here in Los Angeles. Plus Josef Cristofer, Kelly Divan, Angel Spade, Erick Armas. Reservations: (323) 666-6669. Let's party! Caldera's first two albums back on CD today!!! 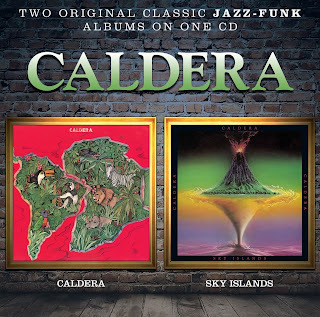 The first two albums recorded by the cult LA fusion band Caldera for the Capitol label -- "Caldera" (1976) and "Sky Islands" (1977) -- are being reissued today as a twofer CD in Europe by the UK label Cherry Red. Both had been previously reissued on CD ("Caldera" in 2004 in the USA and "Sky Islands" in 2011 only in Japan), but quickly became out-of-print. Their debut self-titled LP, "Caldera," recorded in July 1976, was produced by Crusaders' founding member Wayne Henderson (a great trombonist, but who didn't play on the date) and engineered by Rik Pekkonen at Hollywood Sound Studios. At that time, Larkin Arnold was the A&R for the jazz division of Capitol Records, and tried to form a good cast of fusion artists, having also signed Brazil's top trombonist Raul de Souza and American keyboardist Bobby Lyle to the label. 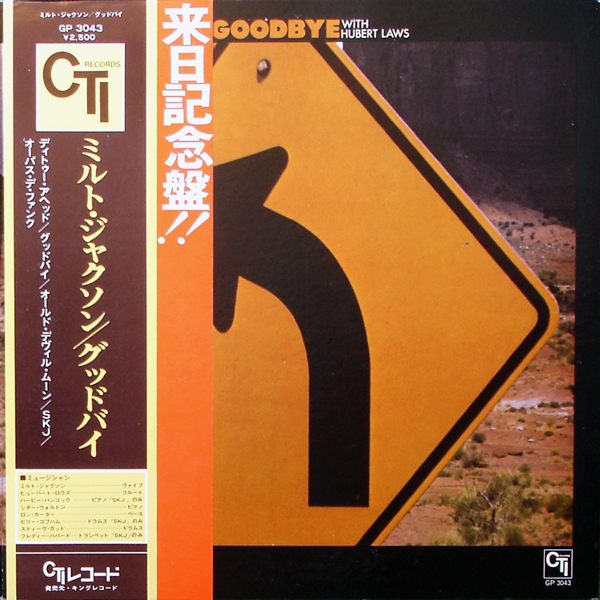 Despite the kitsch cover art (with an horrible photo on the back cover), the album attracted a lot of attention due to its high level of musicianship and the incredible line-up: Jorge Strunz (from Costa Rica) on acoustic & electric guitars; Eduardo (aka Eddie) Del Barrio (from Argentina and working a lot for Earth, Wind & Fire, to which he composed the mega-hit "Fantasy" on the "All 'n' All" LP) on acoustic piano, Fender Rhodes, clavinet, synths and vocals; the much missed Cuban drummer Carlos Vega (who would later become a supersession sideman for Dave Grusin during the GRP heyday); the Brazilian percussionist Mike "Baiano" Azevedo (where are you now, Baiano? ); and the only two North American members of the band, bassist Dean Cortez (from Florida) and reedman Steve Tavaglione (from California) who doubled on soprano sax and several kinds of flutes. 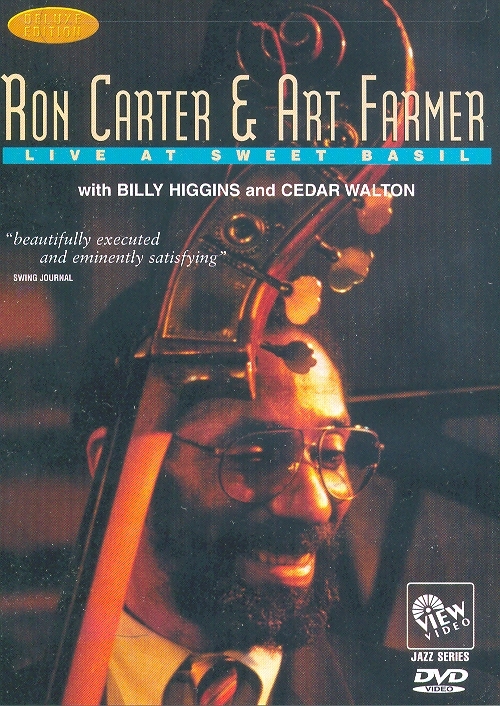 Not to mention three special guests: trombonist Raul de Souza (who would record his best-selling "Sweet Lucy" album for Capitol some months later, produced by the late George Duke), vocalist Carolyn Dennis, and another Brazilian guy, Robertinho Silva (who was touring with Airto at that time) on percussion. The program includes only six tracks, most of them composed by Jorge Strunz and/or Eddie DelBarrio, and the best ones are the longer ones like "Guanacaste," "Exaltation," "Synesthesia" and "El Juguete." 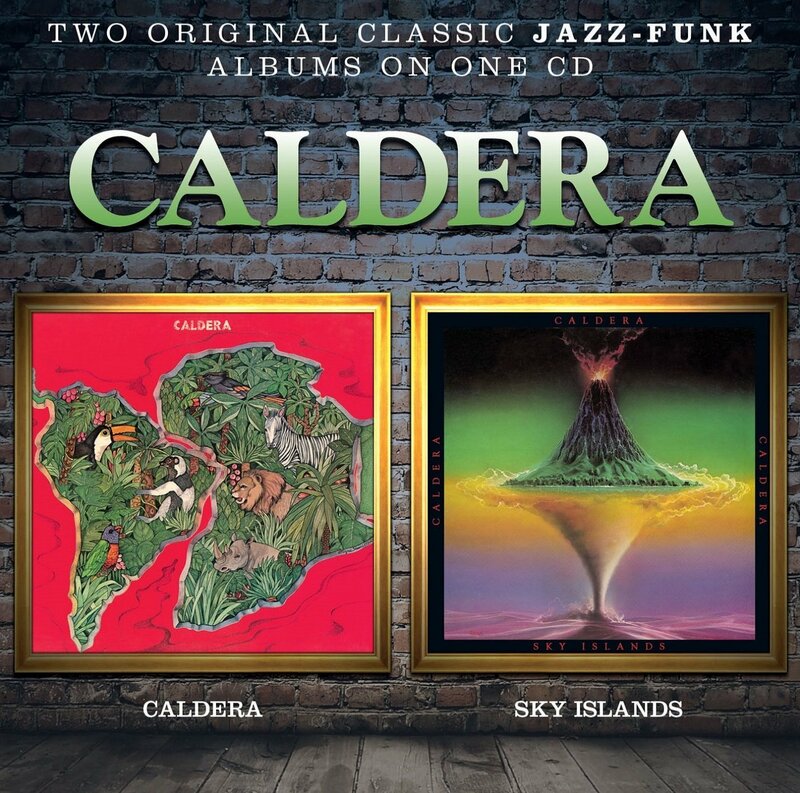 Caldera's second album, "Sky Islands" is arguably the group masterpiece. Originally released in 1977, features the then-newcomer vocalist Dianne Reeves on the first two tracks (the radio-friendly title tune and the gorgeous "Ancient Source"), with the band line-up consisting of Eduardo del Barrio (acoustic piano, Fender Rhodes, Moog, Roland & Oberheim Polyphonic synths), Jorge Strunz (acoustic guitar, electric guitar, percussion), Steve Tavaglione (flutes & saxophones), Carlos Vega (drums), Dean Cortez (electric bass), Hector Andrade (timbales, congas, percussion), and Mike Azevedo (congas, percussion), who wrote the last track, "Pescador." The list of special guests includes keyboardist Larry Dunn, drummers Chester Thompson and Ralph Humphrey, flugelhorn master Ralph Rickert, percussionist Ray Armando (a much-in-demmand musician in the mid-70s, when he recorded on Antonio Carlos Jobim's "Urubu," Stan Getz/João Gilberto's "The Best of Two Worlds" and Michael Frank's "Sleeping Gypsy," to mention only three landmark albums, but later disappeared! where are you now, Ray?) and a string section masterfully arranged & conducted by Eduardo's brother George Del Barrio. 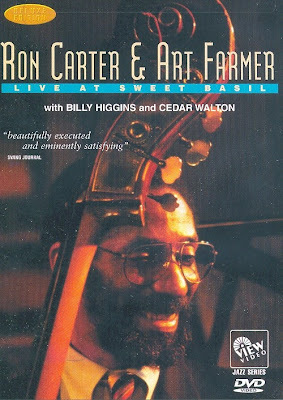 We hope to see the two other Caldera albums also being reissued on CD someday soon: "Time and Chance" (1978, with Gregg Lee replacing Dean Cortez on bass, drummers Alex Acuña and Robertinho Silva replacing Carlos Vega, plus Luis Conte guesting on timbales & congas on the track "Horizon's End"), and "Dreamer" (1979, when Dean Cortez returned as special guest in one song, and Flamenco guitarist Gino D'Auri played on "Brujerías.") Fusion at its best! You are invited for the return of my dear friend SuperDJ Hana from her Europe tour, CHOICE foundation raffle and Bettie Paige fashion show showing off their latest collection at Tokyo Blue @ Ocean Manor - Bamboo Beach Tiki Bar. This Saturday, August 24! 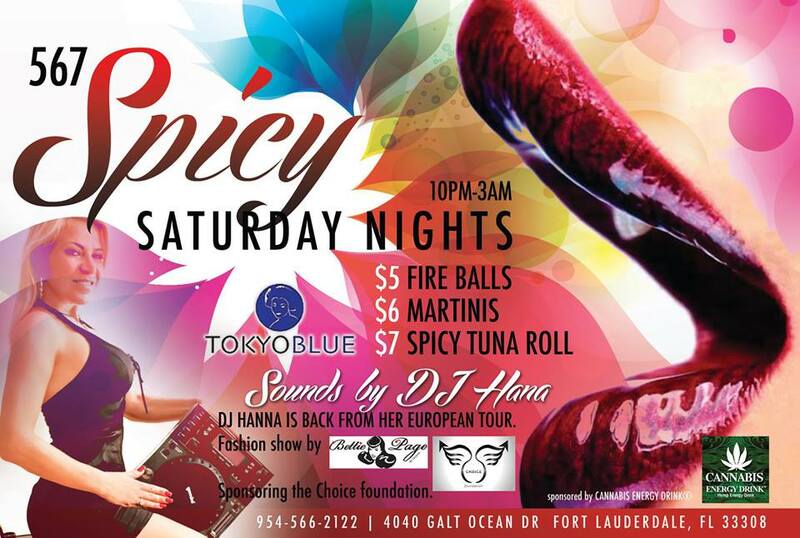 The Party Starts at 10PM Specials $5 Fire Balls, $6 Martinis and $7 Spicy Tuna Rolls Sounds by DJ Hana, of course. Free valet with stamp. Let's party! Blu-ray of the Month - "Al DiMeola: Morocco Fantasia"
A high point of the Moroccan Music Fest is without doubt the Mawazine Festival in Rabat,Morocco. Al DiMeola's fantastic appearance there in 2009, leading his group World Sinfonia, also represented a summit of different cultures and religions – featuring Al Di Meola (guitar), Peo Alfonsi (2nd guitar), Fausto Beccalossie (accordion), Gumbo Ortiz (percussion), Victor Miranda (bass), Peter Kaszas (drums), plus special guests from Morocco, Said Chraibi (oud), Abdellah Meri (violin) and Tari Ben Ali (percussion). On his third trip to Morocco, the public gave this exceptional guitarist a rousing reception and showed its openness towards Western music. Al Di Meola wowed the audience with a repertoire containing not just familiar songs but also new tracks from his current album, 'Pursuit Of Radical Rhapsody'. 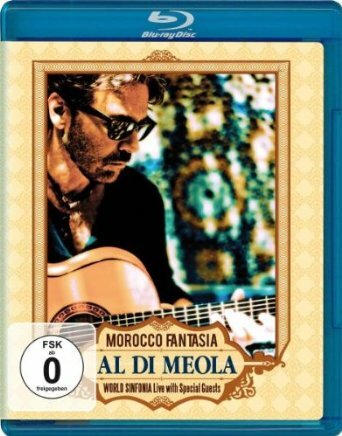 The bonus material is also notable, with excerpts from the rehearsals, from the soundcheck and Al Di Meola performing a session while visiting a bazaar. 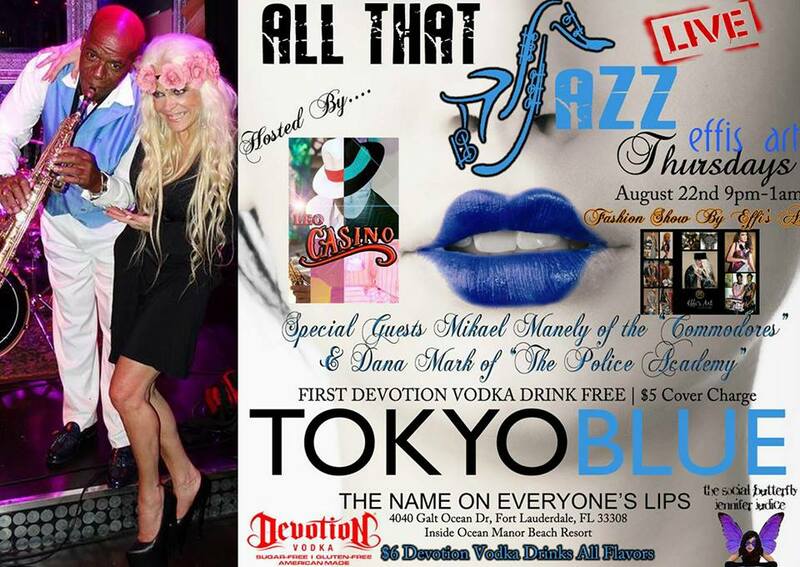 Sponsored by Devotion Vodka @ Tokyo Blue at the Ocean Manor Hotel (4040 Galt Ocean Drive. Ft. Lauderdale). Thursday, August 22, 2013 from 9:00pm to 1:00 am. 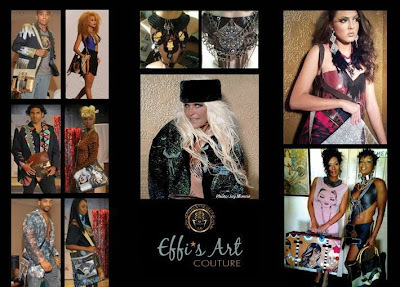 With special guests Mikael Manley, Guitarist for The Commodores and Ms. Dana Mark of the the hit movie, Police Academy and the beautiful designs of Effi's Art. Fabulous dinner menu, Classical Jazz and $6.00 Devotion Vodka drink specials. Dinner reservations are required and FREE parking with dinner. Table & Bottle Service available. $5.00 Cover at the door and includes a FREE DEVOTION Vodka drink. 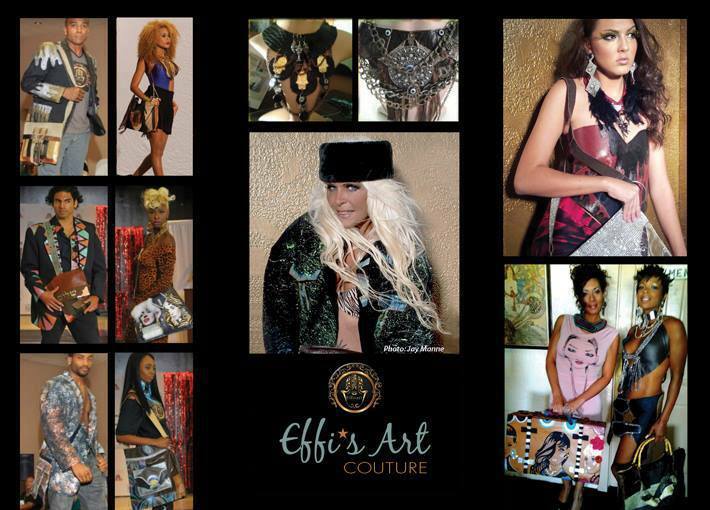 And...Effis Art will be there with her fabulous art, clothing and jewelry. August, a terrible month. August 2013, an horrible month. 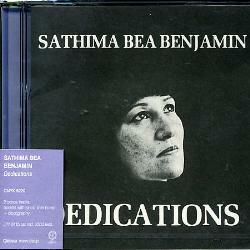 George Duke, Cedar Walton, Marian McPartland and now we have lost the great and iconic vocalist Sathima Bea Benjamim. My late friend Dom Um Romao (also so much missed!) introduced me to her when he took part on the sessions for Sathima's "Dedications" album, back in January 1982 @ Blank Tapes (37 West 20th Street) in NYC. The LP was produced by Sathima's husband, pianist Abdullah Ibrahim (aka Dollar Brand), a legend on his own right. But, curiously, Ibrahim didn't play on those sessions, that were recorded with Dom Um (percussion), Ben Riley (drums), Buster Williams (bass) and pianist Onaje Allan Gumbs, who also wrote all arrangements. 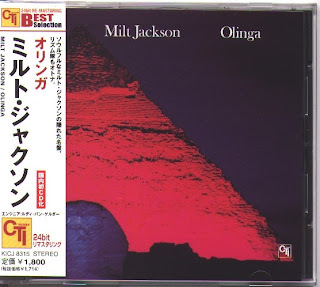 Fortunately, after several years out-of-print, "Dedications" was reissued on CD format in 2005 by the Japanese label Céleste (thx to the efforts of my friend Toshie Miyaki) including two bonus track recorded at Rudy Van Gelder's studio. A masterpiece, Rest in Peace, Sathima. .The death of Sathima Bea Benjamin has cast a shadow on the upcoming Standard Bank Joy of Jazz festival and over the rest of the jazz world. The 76-year-old vocalist and composer died in Cape Town on Tuesday and was buried there on Wednesday. The songstress was the wife of jazz legend Abdullah Ibrahim and the mother of musician Tsakwe Ibrahim and internationally renowned rapper Jean Grae. Despite his great loss, Ibrahim will still be performing on the festival’s opening night. Benjamin’s work was acknowledged earlier this month when she received a lifetime achievement award at the Standard Bank Jazz Honours. Abigail Kubeka, who was also honoured this year, expressed her grief at the passing of Benjamin. Benjamin’s career started at the age of 21 when she joined Arthur Klugman’s show, which toured South Africa. She subsequently released 10 albums, and was based in New York for almost 40 years. For more than 40 years, she hosted , an NPR program pairing conversation and duet performances that reached an audience of millions, connecting with jazz fans and the curious alike. She interviewed practically every major jazz musician of the post-WWII era. McPartland's soft English accent wasn't the only thing that made her a good radio personality. She was an accomplished jazz pianist herself, which was readily evident on her program. Marian McPartland, radio host, was at one time Margaret Marian Turner, piano student. She told NPR in 2005 that her interest in music started when she was a young girl, after she heard her mother play piano. "From that moment on, I don't remember ever not playing piano, day and night, wherever I was," she said. "At my aunt's house, at kindergarten — wherever they had a piano, I played it. Of course, on the BBC they played all the hits from over here [in the U.S.]. They played them, I heard them and I learned them." Of Marian McPartland's "Twilight World," the great singer Tony Bennett once said, "Well, that song will last forever. It's a beautiful song." Young Marian Turner studied classical music, then went on to perform in vaudeville theaters across England. During WWII, she entertained troops, often jamming with American soldiers. She married one of them: cornetist Jimmy McPartland. After the war, the couple made their way to the U.S. — first to Chicago, then to New York. There, she tracked down one of her early idols, one of the few women in the bebop revolution, pianist Mary Lou Williams. "A man might come into New York in 1951 and be kind of gunning for his competition," says Paul de Barros, McPartland's biographer. "Marian McPartland came to New York City and befriended Mary Lou Williams. She immediately tried to establish a kind of camaraderie with her, a kind of female strategy of 'we're in this together.' "
That "we're in this together" attitude was central to the success of her radio program and her career — not that she had an easy time of it at first. As McPartland struggled to make a name for herself in New York, one critic caustically suggested that she had three things going against her: She was British, she was white and she was a woman. "I guess it wasn't that usual to see a woman musician playing in a group, although there were many, actually," McPartland told NPR. "But everybody seemed to think that this was pretty strange, maybe because I was British also. And someone would say, 'Oh, you play good for a girl,' or 'You sound just like a man.' At the time, I just took all those things as encouragement." McPartland landed a gig in 1952 at The Hickory House, a noisy steakhouse on 52nd Street, the center of the city's jazz scene. "Everybody came by," de Barros says. 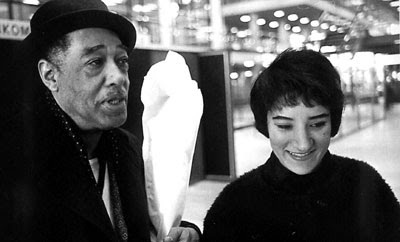 "I mean, she had the opportunity to meet everyone from Duke Ellington to Pee Wee Russell to Thelonious Monk. 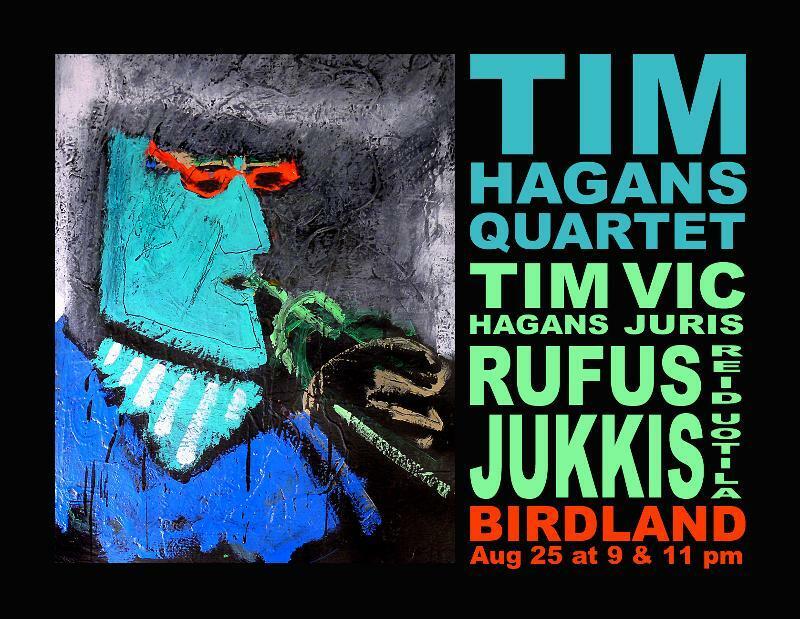 Jazz was really an underground community, and everybody hung out." McPartland continued to record and perform throughout the 1950s and into the '60s, but as rock 'n' roll took over, she began to lecture on college campuses. In the late '60s, she started spinning jazz records on a New York radio station where other pianists would drop by the studio unannounced, just to chat. A casual hello became a regular program in April 1979, when McPartland and South Carolina ETV Radio launched Piano Jazz. Her first on-air guest was the late Billy Taylor, also a pianist and NPR jazz host. "It seemed as if every opportunity that came her way in the past prepared her for being a radio host," de Barros says. "She had researched other people's styles, so she had questions that she wanted to ask. All of those skills were in place, and she was ready for the opportunity that came to her." McPartland said the conversations themselves were very much like jazz, spontaneous and free-flowing. "It's so easy to make it a conversation, and you don't know where it's going to lead," McPartland said. "The whole thing is so improvised, you really don't know where it's going to go." Along the way, McPartland also became a mentor to many young pianists. Geri Allen, one of those pianists, says she hears something familiar to musicians when she listens to Piano Jazz. 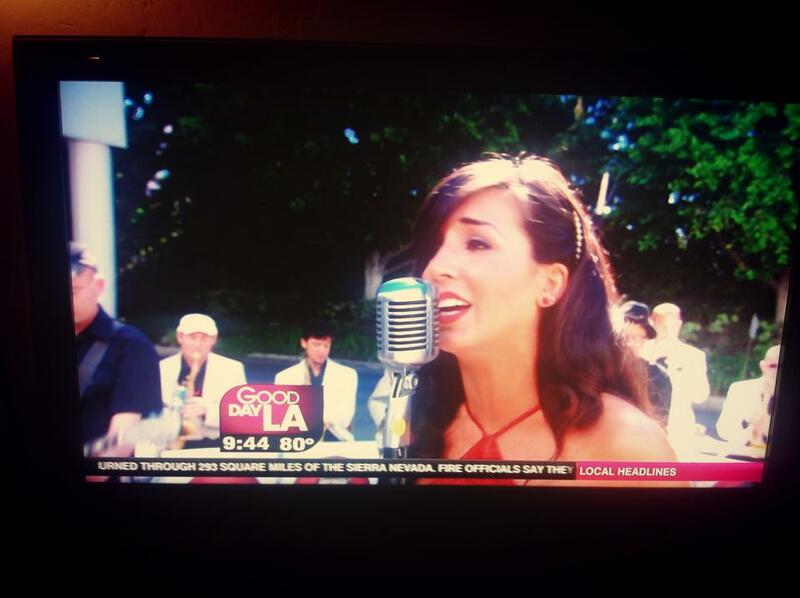 "It's a very personal exchange that only happens to musicians on the bandstand," Allen says. "But to have it opened up to the fans, I think it helps to create even more of an understanding [of] what that whole experience of improvising is about." McPartland was once asked how she did this. Her answer was simple: "You have to love what you do," she said. That was perhaps Marian McPartland's greatest talent: She made Piano Jazz not about her, but about the musicians, the fans and our collective exploration of jazz. For more than 40 years, she reminded listeners every week that we're all in it together. Fourteen days after George Duke passed away, we now lost another great pianist, Cedar Walton. 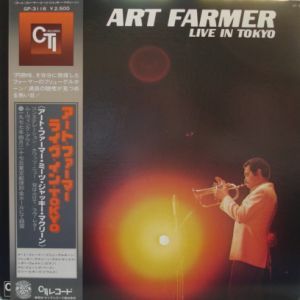 Besides his many solo albums ("Animation" being a personal favorite, because he plays a lot of Fender Rhodes backed by a great combo that includes Tony Dumas, Al Foster, Buddy Williams Paulinho da Costa, Bob Berg & Steve Turre), I'll treasure forever his many sidemen dates; specially, Art Farmer's "Live in Tokyo" (released only in Japan by CTI), Milt Jackson's "Olinga" and Milt Jackson/Hubert Laws' "Goodbye" (playing Rhodes exclusively on both sessions), and two splendid LaserDiscs reissued on DVD: Freddie Hubbard's "Live at Village Vanguard" with Ron Carter and Lenny White completing the quartet, and Ron Carter/Art Farmer's "Live at Sweet Basil" with Billy Higgins. Not to mention his impeccable work also with Abbey Lincoln, Donald Byrd, Joe Henderson, Curtis Fuller, John Coltrane, Wayne Shorter, Jimmy McGriff, Stanley Turrentine, Houston Person, Art Blakey, Clifford Jordan, Blue Mitchell, Ray Brown, Bobby Hutcherson, Billy Higgins, Hank Mobley, David "Fathead" Newman, Lee Morgan, Pat Martino, Frank Morgan, Ron Carter, Jimmy Heath, Etta James, Benny Golson, the now long-forgotten Japanese supersinger Kimiko Kasai, and dozens of others. Most recently, the Switzerland-based American songstress Sandy Patton (one of the best jazz vocalists in the contemporary jazz scene) released a CD titled "A Family Affair," devoted to Cedar Walton's compositions, most of them heard with lyrics for the very first time. An essential item to all Cedar's fans. 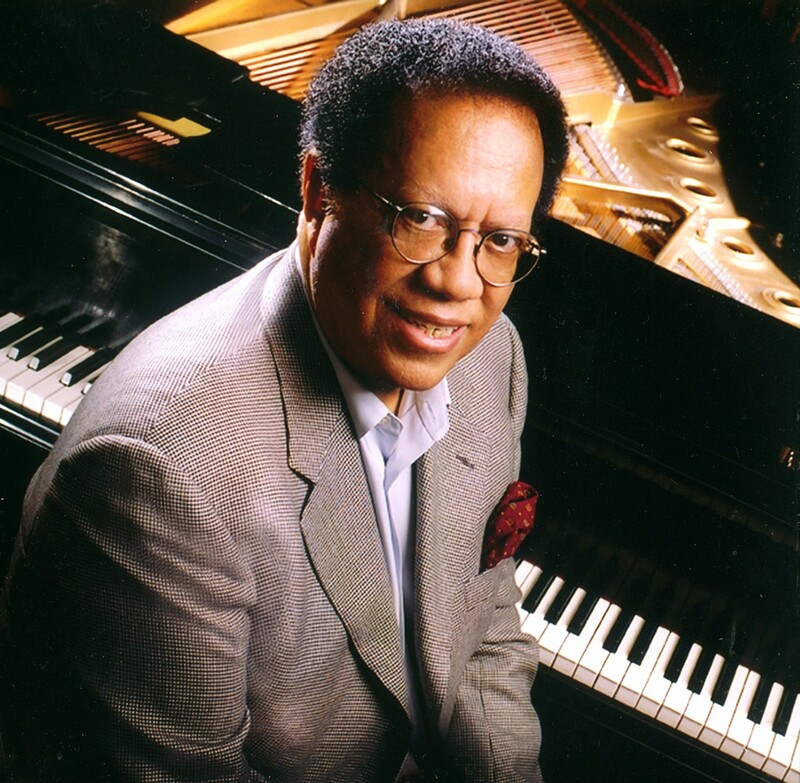 Cedar Walton, a National Endowment for the Arts "jazz master" known as "one of the great hard bop pianists," died early Monday at his home in Brooklyn, NY, according to WBGO's The Checkout. He was 79. In 1959, he recorded with Coltrane on his seminal album Giant Steps, but the recordings weren't included on the initial issue of the album; the alternate tracks were later issued on the CD version. From 1960-61, Walton worked with Art Farmer and Benny Golson's band Jazztet. Walton's next significant musical association was with Art Blakey and the Jazz Messengers. During his years with Blakey (1961-64), Walton stepped forward as composer, contributing originals such as "Mosaic," "Ugetsu," and "The Promised Land" to the group's repertoire. 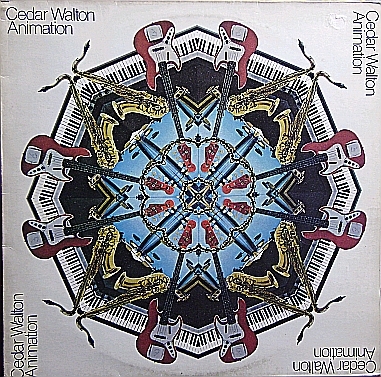 In 1974, Walton joined with bassist Sam Jones, drummer Billy Higgins, and saxophonist Clifford Jordan to form the group Eastern Rebellion, which would perform and record sporadically over the subsequent two decades. 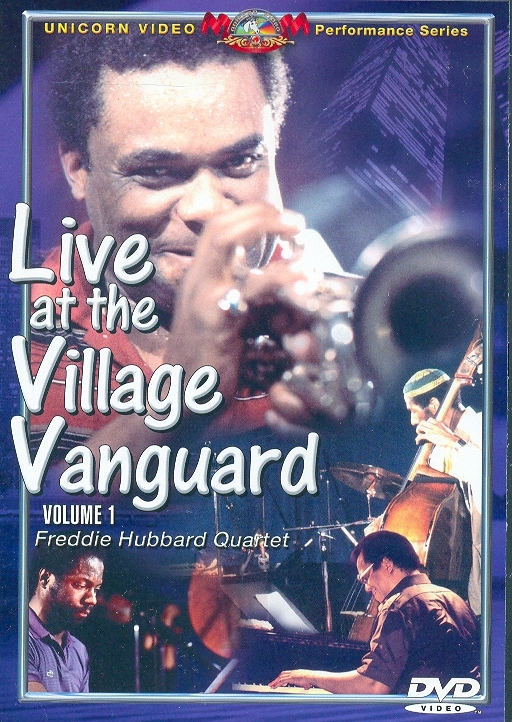 Other musicians rotated in and out of the band, including George Coleman, Bob Berg, Ralph Moore, David Williams, Curtis Fuller, and Alfredo "Chocolate" Armenteros. 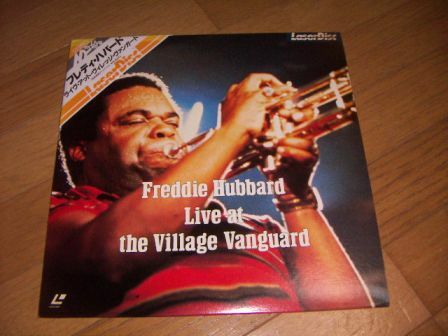 In addition, he continued to perform in rhythm sections for Milt Jackson, Frank Morgan, and Dexter Gordon and accompanied vocalists Ernestine Anderson and Freddy Cole. He also led the backup trio for the Trumpet Summit Band, which started as a project for the 1995 Jazz in Marciac festival in France. In February 2010, Walton performed at NPR's "Piano Jazz." Listen to it by visiting the NPR site through the above link. 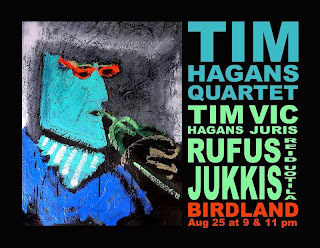 Acclaimed trumpeter Tim Haggans will be leading his quartet -- which features guitarist Vic Juris, bassist Rufus Reid and drummer Jukkis Uotila -- this next Sunday, August 25 @ NYC's Birdland. Sets @ 9 & 11pm. Not to be missed. Movie of the Month - "Le Ore Dell'Amore"
Single of the Month - "Kathy McCord"
DVD of the Month - "A Tribute To Miles Davis"
Vocal CD of the Month - "Beata Pater: Red"